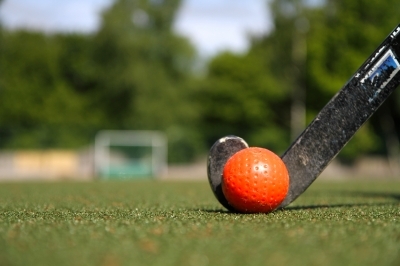 One of the oldest sports in existence, interest in field hockey has grown dramatically in North America. From young girls to collegiate women, this sport has become increasingly faster-paced and more physical over the years. As competition heats up and competitive natures kick in, the severity of on-the-field injuries has also increased. Recently ranked as one of the top five dangerous sports for girls, children and teens nationwide are finding themselves in emergency rooms due to sports-related injuries and accidents encountered while playing field hockey. The most common diagnosis from ER trips is Traumatic Brain Injury (TBI), which is caused by bumps, blows, or jolts to the head and can disrupt normal functioning of the brain. While team sports can provide a multitude of emotional, social, and physical benefits for kids and young adults, it is crucial to provide these athletes with the proper protective gear to avoid brain trauma and other serious injury. If your child plans to participate in field hockey this season, do you know what gear is needed to adequately protect her from unnecessary injury? Here are some basic safety precautions and equipment you need to start off your season with the goal of protecting your child from injury. In addition to the list of protective gear above, goalies will need to suit up with some additional equipment, as they remain in the line of fire with multiple players and the ball the majority of the time. Here are some extra things you don't want to skip out on purchasing if your child is a goalie. Studies have shown that female field hockey players have a 62% risk of sustaining three or more injuries. Those injuries range from chronic lower-back pain to stress fractures and head and face injuries (90%). These injuries happen more than 60% of the time in practice, yet only one out of three parents reports taking the same safety precautions at practice as they do on game-day. In order to more fully prepare your child for safety in sports and prevent injury, be sure your player is wearing the proper protective gear, especially during practice. If your school is in need of a complete list of proper field hockey equipment for this upcoming season, click here and a member of our team will be glad to give you a quote and help supply all of your sporting needs.